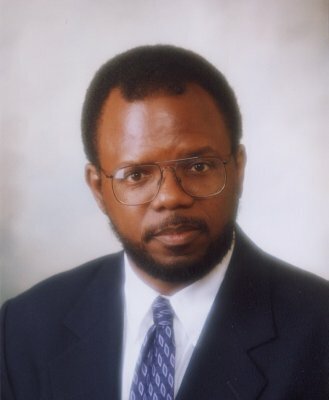 The National Blackwell-Tapia Committee is pleased to announce that the 2006 Blackwell-Tapia Prize will be awarded to Dr. William A. Massey, Edwin S. Wiley Professor of Operations Research and Financial Engineering at Princeton University. This prize is awarded every second year in honor of the legacy of David H. Blackwell and Richard A. Tapia, two distinguished mathematical scientists who have been inspirations to more than a generation of African American, Latino/Latina, and Native American students and professionals in the mathematical sciences. It recognizes a mathematical scientist who has contributed and continues to contribute significantly to research in his or her field of expertise, and who has served as a role model for mathematical scientists and students from under-represented minority groups or contributed in other significant ways to addressing the problem of the under-representation of minorities in mathematics. Dr. Massey has an outstanding record of achievement in both his mathematical research and his efforts to bring more under-represented minorities into the mathematical sciences. As a mathematical scientist, he has done cutting edge research in many areas, with his current interests being dynamical queueing systems; performance, pricing, priority, and provisioning models for communication systems and services; asymptotic analysis of stochastic networks; and stochastic orders on posets. He has published prolifically in these areas, and is a highly sought speaker on these topics whose talks include presentations in such prestigious venues as invited hour addresses for sectional and national meetings of the Mathematical Association of America, American Mathematical Society, and National Association of Mathematicians. His most well-known contribution to addressing the under-representation of minorities in mathematics is probably his continuing work as primary national organizer for the annual Conference for African American Researchers in the Mathematical Sciences (CAARMS). However, his efforts extend well beyond that venue to chairing and contributing to many other national committees and conferences that address this problem, in addition to his personal mentoring of many successful minority mathematical scientists. The prize will be presented at the Fourth Blackwell-Tapia Conference, to be held at the Institute for Mathematics and its Applications (IMA) in Minneapolis on November 3-4, 2006; see www.ima.umn.edu/2006-2007/SW11.3-4.06 for more information. The one and a half day meeting will include a mix of activities designed to inform the next generation of students about career opportunities in mathematics and to provide a chance for them to network with other students and with mathematical scientists who play a leadership role in their communities. The co-chairs of the National Blackwell-Tapia Conference that selected the prize recipient were Rodrigo Bañuelos, Professor of Mathematics at Purdue University and 2004 recipient of the Blackwell-Tapia Prize, and Arlie O. Petters, Professor of Mathematics and Physics at Duke University, President and Founder of the Petters Research Institute in Belize, and 2002 recipient of the Blackwell-Tapia Prize. Other members of the committee were Douglas Arnold, Director of IMA; David Eisenbud, Director of the Mathematical Sciences Research Institute (MSRI) in Berkeley; Carlos Castillo-Chavez, Regents Professor and Joaquin Bustoz Jr. Professor of Mathematical Biology at Arizona State University; and ex officio members Nathaniel Dean, President of the National Association of Mathematicians and Chair and Professor of Mathematics at Texas Southern University; and Robert Megginson, Professor of Mathematics and Associate Dean of Literature, Science, and the Arts at the University of Michigan. The first three Blackwell-Tapia conferences were held at Cornell University (2000), MSRI (2002), and the Institute for Pure and Applied Mathematics (IPAM) in Los Angeles (2004). The conference arose from discussions in the MSRI Human Resources Advisory Committee when Carlos Castillo-Chavez was a member. A proposal by him to David Eisenbud resulted in a collaboration between Cornell and MSRI on the first Blackwell-Tapia Conference, which had the specific purpose of honoring Blackwell and Tapia. The success of this conference led directly to the second in the series and the first awarding of the Blackwell-Tapia Prize at MSRI in 2002, with the goal of extending the honoring of these two eminent mathematical scientists to those who have followed in their footsteps.